How Dangerous Are Sharks, Really? 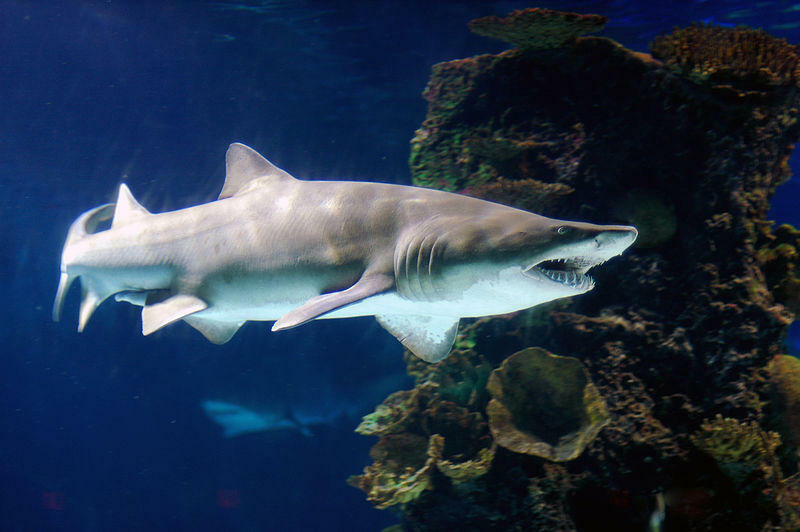 The sand tiger shark is one of the more than 400 known shark species in the world. The 30th season of the Discovery Channel's Shark Week kicks off Sunday, July 22. The special programming event has consistently attracted a large audience. But Shark Week has been both praised and panned by scientists, who say while the series has raised the public's awareness of sharks, it also emphasizes shark attacks and often relies on pseudoscience to generate ratings. Joining Cincinnati Edition this afternoon to separate the myth from the reality of sharks is Senior Scientist and Chair of the Fisheries Science and Emerging Technologies Program in the in the Anderson Cabot Center for Ocean Life at the New England Aquarium, Dr. Nick Whitney, who is currently in residence at the Newport Aquarium.